In order to expedite your check-in process, we request that you fill out the following Registration form prior to coming in for your schedule appointment. This will help us to get your information entered quickly and efficiently. Please download the below form and fill it out using Adobe Acrobat Reader. If you have any questions or concerns please contact us. The American Board of Plastic Surgery Dr. Potyondy is board-certified by the ABPS, the only fully comprehensive plastic surgery certification board in the United States. Visit this site to learn more about certification boards and the ABPS' rigorous certification process. 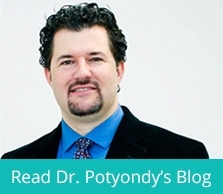 Dr. Potyondy belongs to the ASPS, the world's largest organization of plastic surgeons. Visit this site to learn more about the extra training, ethical code, and other standards the ASPS requires of its member surgeons.